J & N Feed and Seed offers bulk and liquid cattle feed (Cattle-Lac liquid feed) to the Graham and surrounding communities. 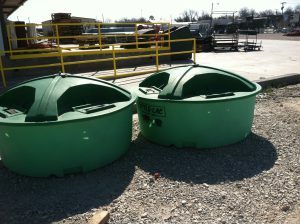 We have trailers available for use with purchase in addition to bulk delivery. Bring your trip-hoppers and pick up or we can arrange delivery to your ranch. Talk to us about your needs, give us a call at (940) 549-4631. Cattle-Lac Liquids helps farmers get the very most out of their valuable pasture land. The CATTLE-LAC supplement actually stimulates beneficial bacteria in the cattle rumen, allowing the animal to break down grass roughage faster and easier. The cattle then eat more grass, which means a healthier, heavier animal. The bottom line is that farmers who feed CATTLE-LAC supplements get the maximum amount of meat per acre of pasture. This entry was posted on Tuesday, July 31st, 2018 at 8:31 am	and is filed under Cattle, News & Updates. You can follow any responses to this entry through the RSS 2.0 feed. Both comments and pings are currently closed.